Mediation is defined as an intervention in a dispute with the goal of promoting reconciliation, compromise or a settlement. When you and your spouse decide to divorce, there is often a baseline of high conflict. Divorce mediation is designed to actually resolve and reduce this conflict – rather than to exacerbate it, or make it worse. Settling a divorce through the traditional court system can have the exact opposite effect, increasing the overall conflict between the two parties. If you are looking for a way to settle your divorce in a way that puts you and your family first, divorce mediation is an avenue to consider. Johnson Mediation specializes in divorce mediation and can help you navigate the entire divorce process, from start to finish. We will help you get through it, find closure and even a bit of hope for the future. Divorce mediation allows you to settle all aspects of your divorce without a lengthy court battle. A divorce mediator can facilitate positive and productive discussion that empowers you to solve issues about child custody, division of property, assets and debts and even the determination of child and/or spousal support. Mediation allows you and your soon to be ex-spouse to drive this process, and gives you the flexibility to find a solution that works for your unique situation. Mediation costs less and takes less time than a court battle, which also means that it is significantly less emotionally taxing than proceeding through the court system. Mediation can also be used when issues come up between you and your ex after your divorce. Johnson Mediation has been working with couples to settle their divorces for many years. Our founder, Jeff Johnson, is a state qualified neutral mediator, social and financial early neutral evaluator, parenting time expeditor, parenting consultant, parenting coach and a parenting class instructor and has been through a divorce himself. Jeff and our team apply experience, knowledge of divorce law and compassion to each and every case. We work to help you get through the divorce process as cleanly and stress-free as absolutely possible. If you and your spouse have decided to divorce, you can get through the process without increased conflict and a win-lose scenario. Divorce mediation allows you to take control of your divorce so that you can move forward quickly and in a healthy way. 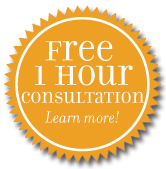 If you would like more information about Johnson Mediation’s comprehensive divorce mediation services, call us at 952-401-7599 to schedule a free divorce consultation.